Most beauty products you buy for what they will do for you - that they are in and of themselves attractive is usually a nice bit of synergy. Then there are those beauty items that you have to get, simply because they are little miniature works of art. 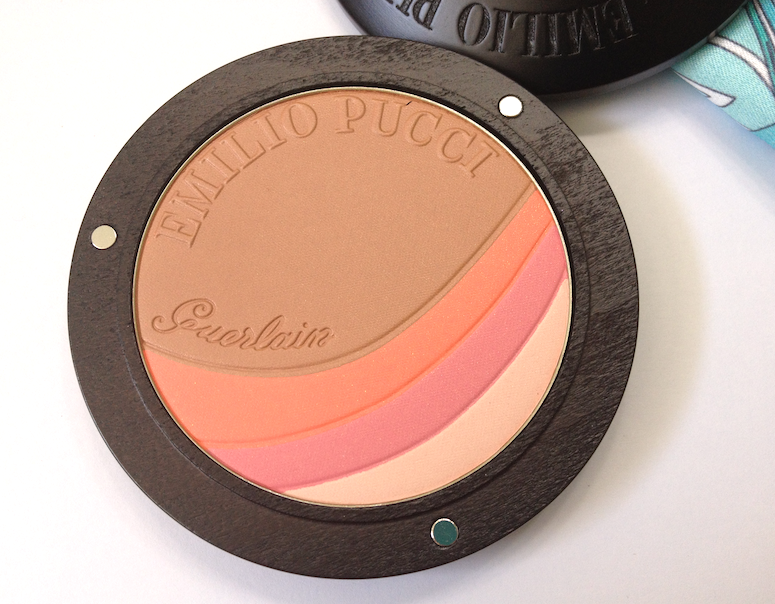 The Emilio Pucci Terra Azzura Bronzing Powder and Blush from Guerlain is one those. 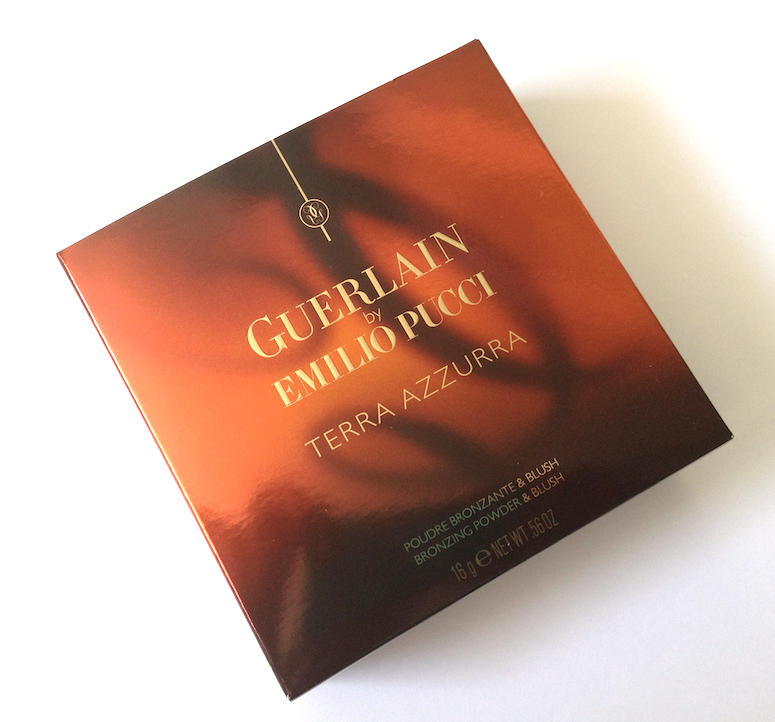 The price is absolutely astonishing, as is true for everything from Guerlain. However, in a market where increasing prices for diminishing quality has become the norm, Guerlain is a brand that makes consistently sublime products. Every single aesthetic detail on this bronzer hits the mark. The chances of me owning an actual Pucci dress are pretty slim. 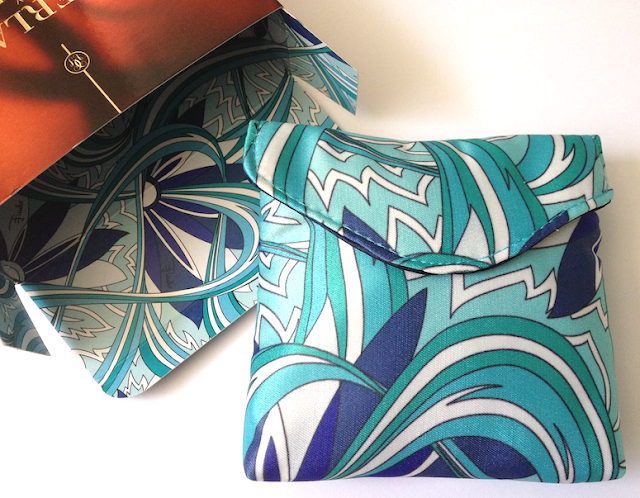 Pulling the little Pucci-print bag out of the Pucci-lined box, however, gives me an idea of what it would feel like. Every element here says "luxury", in a sophisticated and refined voice. 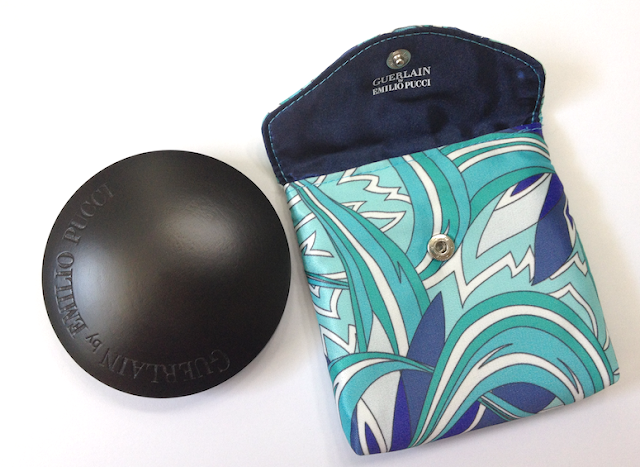 Even the packaging of the actual bronzer evokes a lifestyle that I have only read about, patterned after the wood-paneled Riva yachts that carried the Jet Set around the Mediterranean. The choice of a wood compact exterior is unusual, as is the three-point magnetic closure mechanism. Points for creating something functional, chic and original. How freakin' gorgeous is that??? I almost couldn't bear to use it. When I finally did though, I was a little nonplussed. The application was not at all what I expected. 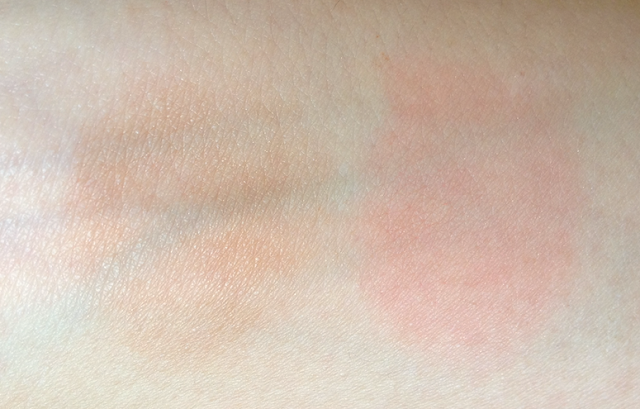 From the reviews I'd seen online, it seemed like this guy was very pigmented, but when I first swatched it on my arm, the bronzer did not show up. Like, AT ALL. I might have been rubbing paper, for all that came off the compact. The blush part had no problems, but the bronzer....I was convinced I'd somehow gotten a defective item. 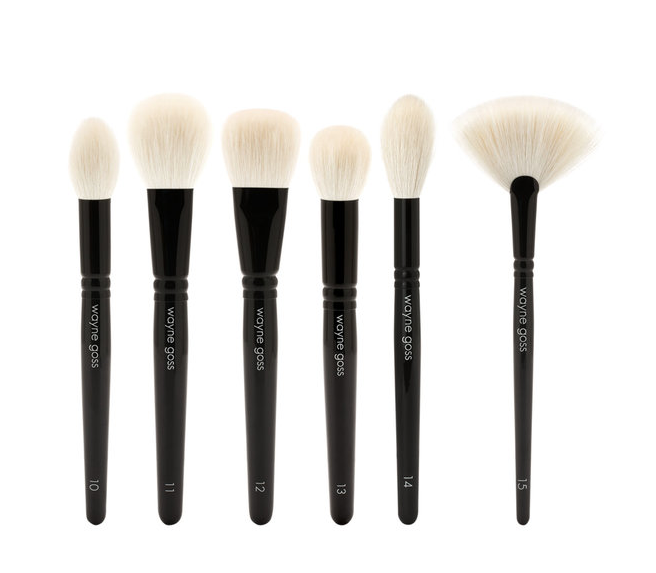 I tried swatching it and applying it to my face with several different methods - cotton swabs, sponge, goat-hair contour brush, synthetic contour brush, fluffy powder brush, dense bronzer kabuki. The best pay off came with the dense synthetic brush, but even that resulted in more of a fine golden shimmer than anything resembling bronzer. I regretfully went to the store to return it. The SA asked if she could try applying it, and lo and behold, she was able to apply it to my skin with no problems. THE HELL?? She explained that it was possible the top layer (which had a bit more shimmer) was hardened for some reason. She used a brush with denser, almost rough bristles to "break through". I was a little bemused by this explanation, but took it home (disinfecting it promptly - blergh!) and wiped off the top layer with a paper towel. And yes, I was able to apply it normally after that. Very bizarre, but if you've gotten a Terra Azzura that seems underwhelming, try that out before returning it. So. My actual review. This powder is extremely fine. If it was any finer, it would be microscopic on the skin. 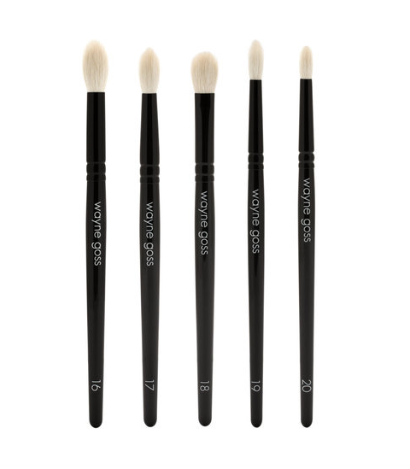 It applies very smoothly, with a dry, silky texture that melds into the skin. It reminds me a bit of the Tarte Amazonian Clay blushes, actually. 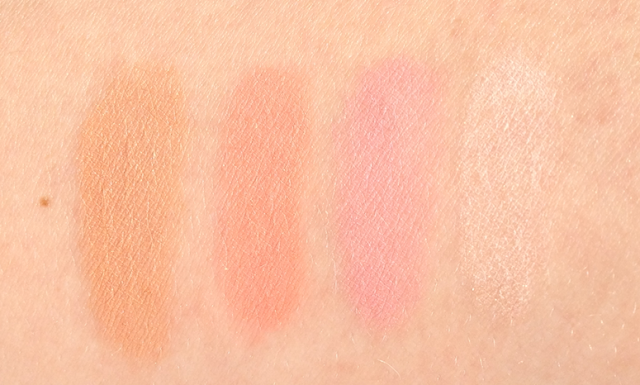 The whitish shade looks a little powdery in the swatches below, but as part of the blended swatch, that is completely imperceptible. 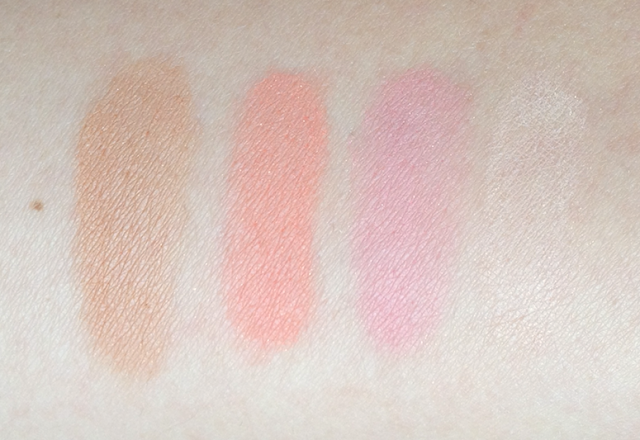 There is a fine shimmer throughout, more evident in the coral shade of the blush part. On the skin, it reads as a super-subtle glow. You can use the bronzer separately, and the blush trio together with a smaller brush, for the classic contour/blush application. I do fine the bronzer a little warm-toned for me to use in this manner however, though not nearly as orange as I had feared. 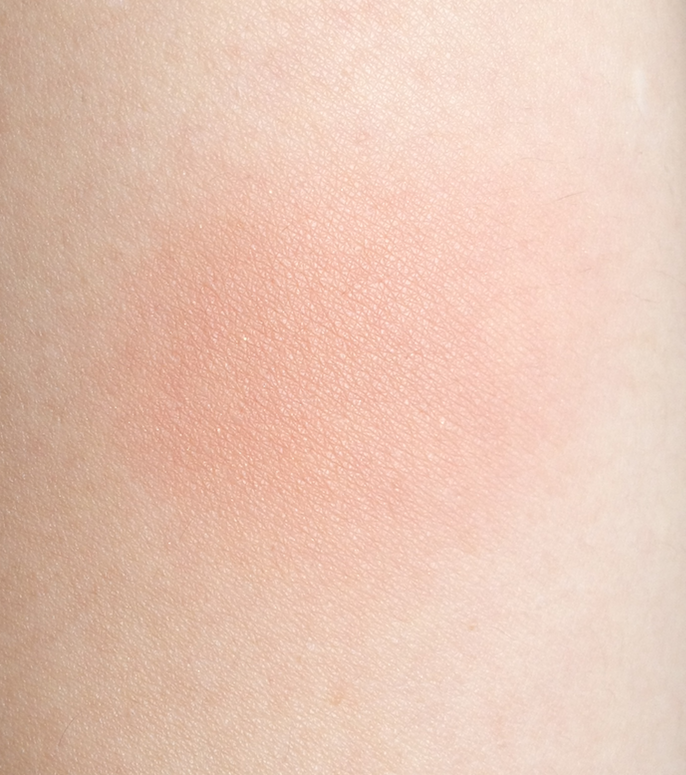 The powder works best when blended together though - the effect is an absolutely gorgeous, sunny blush that mimics the natural glow you would get from a bit of sunbathing. Bronzer side on the left, blush side on the right. Natural light. 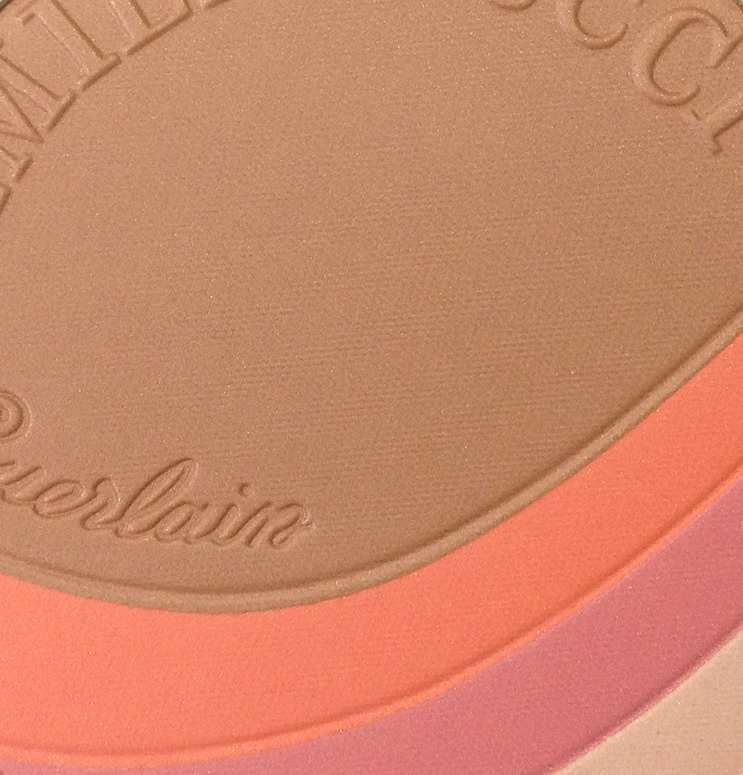 Pros: Superfine, silky, weightless texture that blend right into the skin. Tiny shimmer that imparts a light glow, and a beautiful summery shade. Can be layered up without adding extra texture. packaging is just incredible - one of the best looking makeup products out there. Cons: The weirdness I experienced initially with the non-existant pay-off. I don't know if that's just a one-off with me, but it certainly dampened my initial enthusiasm. Not a shade for deeper skin tones. As a luxury item, the price is outrageous. Ahhh just for the pouch I'd want this! The problem is no shop in the town that I live stocked this collection, and by the time I made it to one that did the compact was gone (of course). It's so gorgeous! I know, right?? Even though it adds an extra step to take the compact out of the pouch before using it. But somehow it makes me feel more glamorous doing so. It is available at Sephora, and they're generally pretty great about returns, so maybe that's an option? This is one of those disgustingly beautiful items that I covet and would never even swatch. Very useful to hear about the top layer business, though. Glad you're able to dig into it! That's so odd about the top layer business; I had absolutely no issues whatsoever...in fact, I found that I had excellent colour payoff right from the start - go figure, right? I was absolutely dying for this collection to come out as I've been a huge Pucci fan for ages; I had a pair of Pucci leggings that I purchased in Paris on my 1st wedding anniversary, and literally wore them until they dissolved! As soon as this collection hit counters, I was there when the SA was opening her boxes of goods - I bought it even before the display was up, lol! 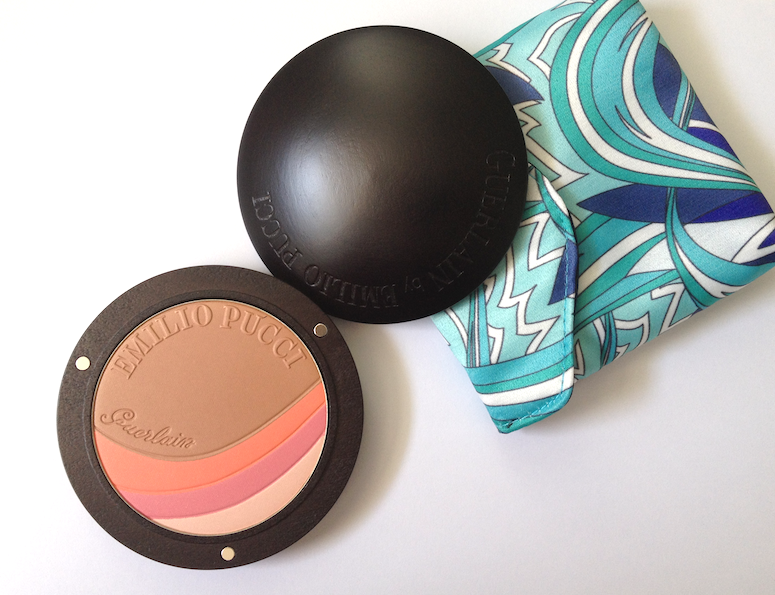 You're right on every point of how well conceived this beauty is and how utterly divine one feels pulling the elegant compact out of the Pucci-print pouch, but the best part for me was the absolutely realistic faux-glow this bronzer gave. 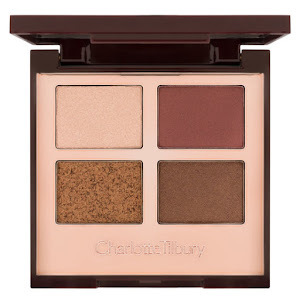 With my more Mediterranean colouring, these are the perfect bronzer and blush hues ever! So glad you get to enjoy this precious as well! 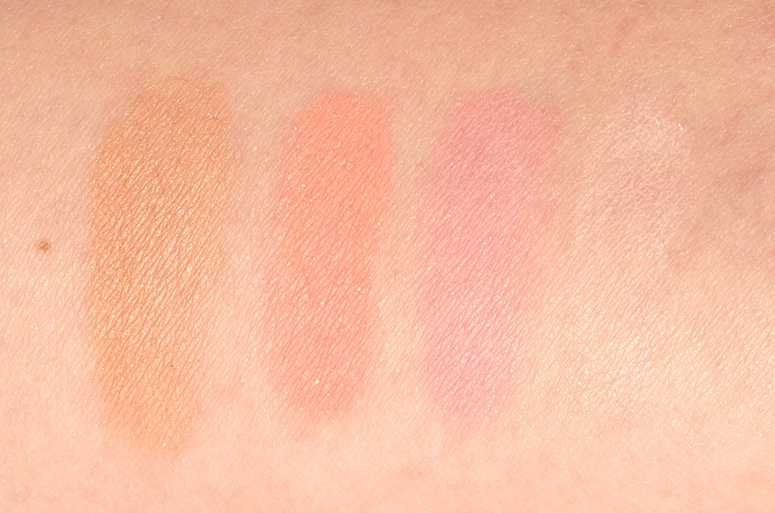 Ya, that's why I was sure I'd gotten a dud - all the other swatches I'd seen, including yours, seemed to indicate great payoff. It was very, very bizarre. Ha! Now I'm picturing you stalking the Chanel counter, and pouncing on the SA as she's opening up the boxes. GIVE ME MY BRONZER, WOMAN. 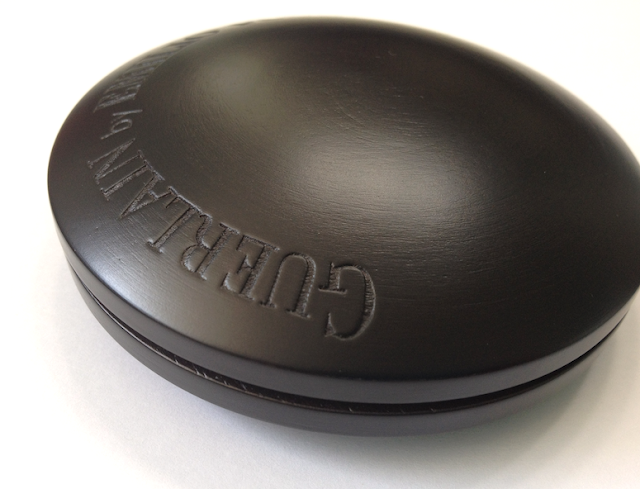 It does look absolutely divine on olive and warm skin like yours! My skin is fairer, but somehow this still manages not to lean too orange, as I had initially feared it might. Right?? It's the kind of thing that deserves to be placed Just So on a vanity, to gather all the admiring looks it deserves.